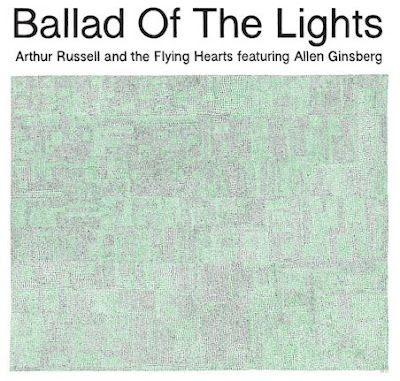 “Ballad of the Lights” is a collaboration between NYC avant-pop hero Arthur Russell and Beat poet Allen Ginsberg, originally recorded in 1977. The track was recently unearthed from Russell’s archive and will be released digitally as well as on a limited edition 10″ vinyl on October 19 via Japanese label Press Pop and Audika. CoS notes: “Chris Taylor of Grizzly Bear, who worked on Love is Overtaking Me and just generally seems to admire Russell, handled the digital transfers for the vinyl version of “Ballad of the Lights”. The vinyl’s B-side will be an old Russell and Ginsberg work, 1971’s “Pacific High Studio Mantras”.